First published in the Sewanee Review, vol. 109, no. 4, Fall 2001. He had done so many things and played so many parts that you never felt you had come to the end of him. Some knew Hugh Sykes Davies as a wit, some as a lover, some as a teacher; and there were those who read his novels and even his poems. He also married a good deal. 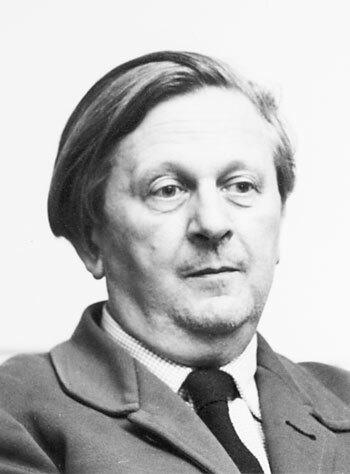 He had many wives, four of them his own; taught at Cambridge for nearly half a century — a communist for half the time; was a surrealist in the Paris of the mid-1930s; and finally, as faith and dogma ran dry, a structural linguist. He was once to have been a candidate for the House of Commons too, in 1940, in an election canceled because of invasion fears. Soon afterward he found himself an official in the wartime Ministry of Food, and later was an ardent campaigner for school reform. He cooked and fished. Above all he talked. He was always, and by choice, on the margins of life, rather like the hero of T. S. Eliot’s ‘Love Song of J. Alfred Prufrock’; and it is perhaps a pity that Eliot wrote the poem before he met Hugh, though he may have had moments of recognition when he did. Prufrock calls himself an attendant lord, thinking of the character who stands about in the court scenes of Elizabethan plays; and Hugh was supremely the Prufrock of English letters between the wars, humming his love song in an unromantic world, living his life in fragments or (as Eliot put it) measuring it out in coffee spoons, and making do in a haphazard existence in which all beliefs are transitory — no settled conviction links you to family or tribe, and no choice looks certain in an overabundance of choices: ‘Dare I eat a peach?’ As a post-Marxist you are not sure of your class; as a post-Darwinian you are not even sure of your species. ‘I should have been a pair of ragged claws / Scuttling across the floors of silent seas.’ Others might be unclear who or what you were. But then you were unclear yourself, and life was not a finding but an unending search. It was Hugh’s foible to know people before they were famous and to drop them — never to be dropped — before celebrity came. 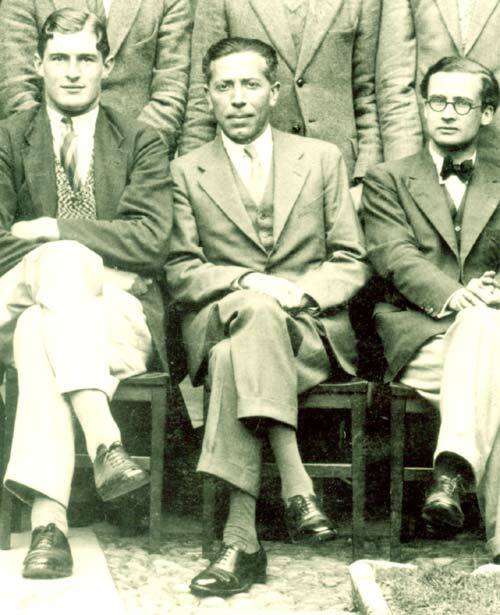 He had known Eliot closely down to the mid-1930s, taking him to football games and inviting him to college dinners, but deserted him in 1934 when an audience crowded with bishops and lesser clergy at the first performance of The Rock persuaded him at a glance that Eliot was no company for a devout atheist. The son of a Yorkshire clergyman, Hugh was implacably against God; and it was one of the few convictions he retained all his life. Religion was so closely allied to madness, he believed, that it was difficult to know which had caused which. That differed interestingly from the atheism of his lifelong friend William Empson. Empson thought religion made you evil. Hugh thought it drove you insane — assuming, that is, you were not so already. His friendships with the not-yet-famous were numerous. Before the war, which caused C. P. Snow to move to London, Hugh spent many convivial hours with him, though he found Snow laborious in conversation and delighted in mockingly calling him Percy instead of Charles. He drank with C. S. Lewis, avoiding topics that involved their conflicting opinions, such as religion and communism; and he enjoyed discussing the Italian comic epics, though he occasionally found Lewis overly disputatious. He had known Maynard Keynes, though he took no interest in economics, and Henry Moore, a fellow Yorkshireman still unknown as a sculptor. 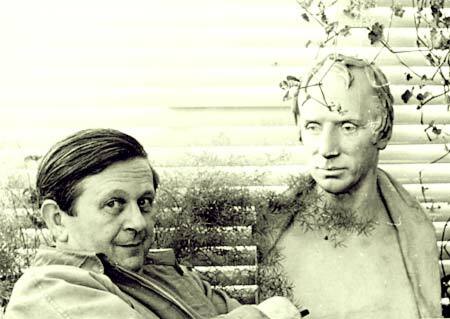 In fact for a time he lived in north London with Moore and his Russian wife, Irene, and would tell how the sculptor would go down to his basement studio after breakfast and light a cigarette. Carving, however, is a noisy business, and Irene was ambitious. ‘Henry, what are you doing?’ she would shout repeatedly down the stairs, with rising emphasis, until he reluctantly threw away his cigarette and took up his chisel. A bohemian life meant escape from the factories of Yorkshire and the stolid parsonage where his family, who had been Methodist before they were Anglican, practiced the strictest abstention. In fact his grandmother’s middle name, he delighted to recall, had been Abstemia. A freshman in 1928, he found Cambridge a liberation, and spent the rest of his life defining himself against the values of a puritan childhood, discovering the virtues of abstention only when it was too late to matter. He had lost his virginity at a remarkably early age at a boarding school, when a nurse brought in to deal with an epidemic had been rashly allowed a latchkey, and he never forgot his anxiety, as he crept back after his first amorous adventure, wondering whether it would impair his performance at football. Cambridge put him at eighteen into the middle of the only school of critical theory on earth, and he adored a new theory even more than solid or liquid stimulants and in much the same way. In the heady days of I. A. Richards, theory could turn you on and help you drop out, which he did, editing an undergraduate journal called Experiment with his fellow student William Empson. 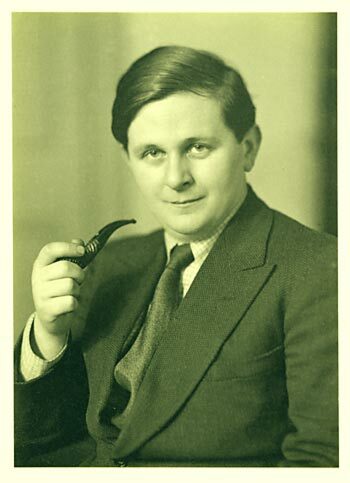 It was a critical school dedicated to T. S. Eliot, then a young American in London; but he broke with Eliot over religion, and, at Eliot’s death in 1965, Hugh wrote an obituary called ‘Mr. Kurtz, He Dead,’ in which Conrad’s bitter epitaph in Heart of Darkness sums up an abiding sense of betrayal. Kurtz had exterminated natives in the Congo, and Eliot’s Anglicanism seemed to Hugh hardly better; worse still his equivocal attitude to Franco during the Spanish Civil War and his fellow feeling for Marshal Pétain after the fall of France in 1940. The Vichy slogan Family, Fatherland, Work summed up everything Hugh did not believe in, and quite a lot that Eliot did. Not that Eliot rejoiced in the defeat of France. ‘But he did think it an opportunity,’ Hugh said sadly, ‘to do something interesting.’ Eliot had taken a path his disciples could not follow. By 1959, when we first met, he had given up almost everything, including Marx and André Breton, and regretted a good deal. ‘My conscience reproves me when I am wrong,’ he would say; ‘and never commends me when I am right.’ Even the critical theories of I. A. Richards, such as Basic English, no longer held his attention, though he continued to love Richards’s company after he returned from nearly forty years at Harvard. ‘The subtlest mind in the West,’ he would call Richards. He had given up communism shortly before we met, not long after the Russian invasion of Hungary in 1956. Not because of the invasion, apparently, which he had defended in a public speech, but for reasons he would never quite explain. Hints were occasionally dropped. ‘Workers don’t work any more,’ he would exclaim bitterly, and he was horrified by transport and power strikes in the days when British unions were still militant. I picture him standing on cold railway stations waiting for trains that would not come. He loathed, too, what some presume to call progressive education; and he would deride teachers who protested they could not teach children to count or to spell. He never became a conservative, and kept up a connection with the left by opposing nuclear armaments. But on many issues, and more and more, he thought conservatively. 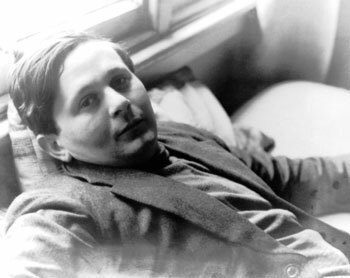 By then the left’s literary avant-garde, which he had given his life to, was running out of issues. If you are an inveterate avant-gardiste, you need a quick supersession of new ideas, or ideas that look new, to replace what fate and chance have forced you to abandon; and there is a natural limit to the search for novelty. It is called old age. He had given up modernism because of Eliot’s reactionary ideas in politics and religion. He had given up surrealism on sadly realizing that you need fixed points, after all, both in life and in the arts. He had given up Richards’ Basic English because no native speaker of English, he discovered, can remember what eight hundred words he is allowed to use. And he had given up socialism, in all likelihood, because of union militancy. Dying in June 1984, a few months after his friend William Empson, he did not live to see the Soviet collapse of 1989–90, but I suspect he would not have minded. The failure of his marriages, too, had faded into a limbo of mind; and fishing was a consolation in that it took him into lonely places. ‘I am glad to say I have parted from all my wives on the terms of the greatest possible bitterness,’ he would say, with a smile that made a virtue of his isolation. The art of life, he would add, quoting a Greek motto, was to lurk, and he sometimes tried to look invisible as he entered rooms or walked familiar paths, and almost succeeded. It was as if he had wrapped a cloak of invisibility around himself. A classic twentieth-century man, he moved from coterie to coterie — the Richards circle of critical theorists, the communist party, and the surrealists — and eventually found there were no new things to do, beyond fitful enthusiasms. A sudden craze in his fifties for skydiving was derisively dismissed by his friends and remained, for them, happily unfulfilled. He was always ‘into’ something, and a colleague once remarked that the word might have been invented for him. One day it was the grammatical functions of the brain, another word-frequency in the great English novelists and poets, another the imminent danger of a nuclear war. These were his spots of time, as he called them, quoting his beloved Wordsworth, and like Wordsworth he felt their vivifying virtue. Wordsworth, he once explained in a collection he edited called The English Mind (1964), was a precursor of Freud, whom he had met in Paris in 1938 in the home of Princess Marie Bonaparte, ‘the only princess I have ever known’ and head of the French Freudians. Freud was a refugee on his way from Vienna to London, where he died; and like Wordsworth he had seen experience less as a continuum than as a broken chain of crises and traumas, a shattered record where almost all the fragments are jettisoned as meaningless, the remaining few to be interpreted and reinterpreted into patterns of healing significance. That is what Wordsworth’s Prelude is about, and Proust’s great novel, and that is how Hugh too saw time, in its aimless passage from a birth you cannot remember to a death you will never recall. A sworn foe to pomposity, he was content to let such moments emerge in talk as farce, parodying and mocking them to weaken their power and render them more conversable and less real. He regretted his mistakes. A being of some elegance and of endless social charm, he preferred to see his life as a series of quick takes like scenes from the Marx brothers, whose films he adored. As a young man in the Italian Alps, for example, on Lake Garda, he had hired a boat propelled by standing, like a gondolier, pushing hard at the prow on an oar. It was an object which, as a skilled Cambridge river-punter, he had never seen before, which was exactly why he wanted to try it. As he moved his boat unsteadily from the shore the boatman on the lakeside began to entertain understandable qualms about its safety and shouted anxiously after him if he knew what he was doing. ‘Ė capace?’ Hugh shouted back reassuringly ‘Si, sono capace,’ floundering at his oar, and somehow made it back to the shore. But then he was a strong swimmer, and, what is more, he had beginner’s luck. He had been a fishmonger too, in the 1930s, though he knew nothing about selling fish, buying a fishshop in Ely as a parliamentary candidate there to keep its manager, another undercover communist and his election agent, from being moved by his firm to the Midlands. Routine bored him utterly, whether in work, friendship, or love; and he sought the condiment of danger in everything he did. His role model was a cab driver he had once fished with whose previous job had been in a circus, riding a motorbike on the Wall of Death, until he started to have blackouts and had to give it up. ‘You can’t have blackouts on the Wall of Death: besides, I had a lioness in the sidecar.’ Hugh wanted a lioness in the sidecar in everything he did. Hence his sorrow. His gaiety masked melancholy, and it was a melancholy born of unfulfillment, and an unfulfillment born of tedium. He would always rather start than finish. His notable Wordsworth and the Worth of Words lay still unpublished at his death, though a publisher had accepted it; and it did not appear till two years later in 1986, when a colleague edited it from his papers. As always he had lost interest and moved on.